Perama villas with pools, holiday homes, cottages, rental properties, vacation rentals, self catering holiday lets in Perama, Crete. 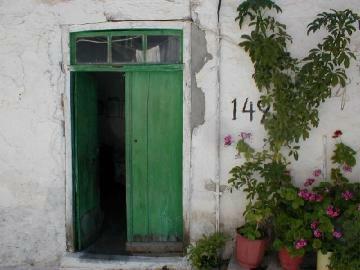 Perama is a charming village located around 5km inland from the northern coast of Crete. The hinterland offersbeautiful mountain walks and on the coast there is the superb resort of Rethymnon. So here you can enjoy the charm and friendly atmosphere of village life amidst beautiful scenery and nip down to the beach at your leisure. Traveling to Perama is fairly easy, there is a choice of airports offering direct international flights, either Heraklion (HER) airport 56km (takes around 1 hours by car) or Chania (CHQ) 92km (about 1 hour 38 minutes drive). The coast road is largely duel carriageway which helps. The Perama climate is wonderful with plenty of warm sunshine from April to October. Being slightly up in the hills the evening temperatures are more pleasant than down by the sea. It can get quite hot in July and August but there is very little rainfall during the summer months. We have 1 villas in Perama, Crete.